A plumbing system is any system that is used to deliver water to various applications. 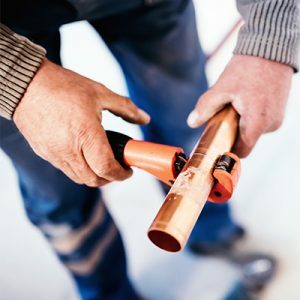 Plumbing is mainly for heating and cooling, removing waste products, and ensuring water is delivered to houses efficiently. To deliver water, various gadgets are used including pipes, tanks, fixtures, and valves among other things. Vent installation to ensure gases do not fill the room. Prioritize – this means that whichever time you need the plumber, he or she will be available to offer the service. Keep and maintain personalized records – this is to help in effective and fast diagnosis. And so each and every time repair is needed, previous records can be used to help one fix the problem effectively. Provide transferable agreements – This agreements should indicate the new owners of a house in case one moves to another house and in this way, the new owner can continue using the services from the plumber. Cover multiple sites – In case that you relocate, the plumber should be able to offer the services even in the new location. Have the required licenses to operate. Not all companies can guarantee efficient and easily accessible plumbing services. So, do your search very carefully. Contact us any time of day and ask for professional advice or plumbing services that are reliable, trustworthy and affordable!